J Crew's bubble necklace is a favorite among bloggers and retails for $150 (available in various color options). 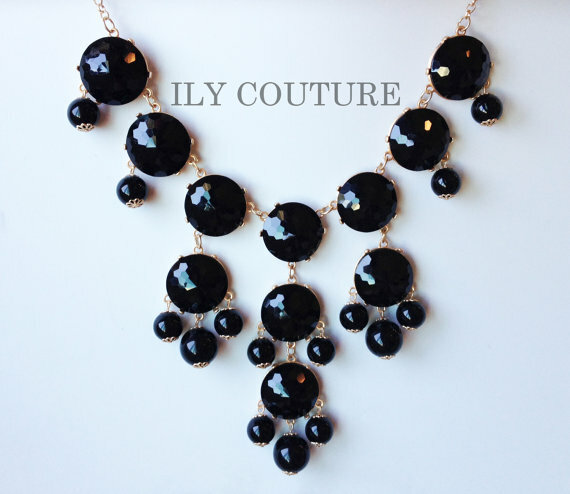 Vestique's bauble burst necklace offers a similar look for only $40 (though limited availablity!) and also comes in yellow. Click HERE to view or purchase. ILY COUTURE on Etsy also offers a great look for less, retailing for $49. Click HERE to view her store (my picks are the pink or turquoise options!) Which color is your favorite? My one complaint was that the necklace was a MAJOR statement - it's really big. J.Crew now sells a smaller version on their site for $88, which is also a pretty good deal.